As the world’s first and only FDA-validated, commercial scale three-dimensional printing (3DP) pharmaceutical manufacturer, we’re enabling the next generation of pharmaceutical manufacturing today – and taking medicine to its fullest potential in the new age of digital medicine. Our mission is two-fold: to help our pharmaceutical manufacturing partners seize business advantage by providing unique solutions to unmet patient needs. Today, from product concept to commercial stage manufacturing, we’re actively developing a suite of pharma-ready innovations and complementary technology platforms to enable the patient-centric products and precision medicines of the future. Rapid dispersion, high drug load, modified-release are just a few of the new dose forms 3DP for pharma delivers. 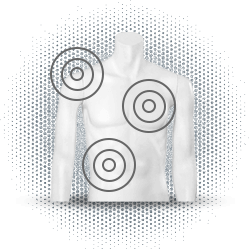 Get started today with rapid disperse ZipDose® technology. Our 3DP for Pharma platform can improve and enable new strategies for delivery and adherence across all therapeutic areas to improve quality of life for patients everywhere. 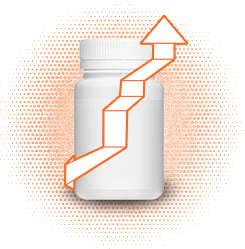 3DP pharmaceuticals create patent opportunities through new formulations, enhancing the innovation value of pipeline product candidates and extending marketed product lines, so you can expand market share far beyond generic manufacturers capabilities. Our advanced patient-centric approach to 3DP pharmaceutical design and production creates precision medicine, delivering the optimum dose at the right time to the right location. New fast-melt capabilities unlocked by 3D printing in medicine eliminate the time and effort it takes patients who have difficulty swallowing to get the right dose when they need it. Unprecedented combinations of high drug loading with rapid oral dispersion alleviate pill burden and adherence challenges, making medicine easier to take. New ability to combine multiple functionalities in a single tablet – pre-gastric absorption, two or more APIs, modified release profiles, rapid dispersion in the oral cavity or alternative delivery sites. 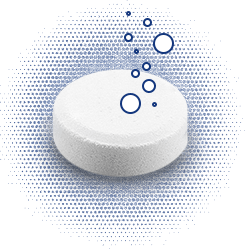 With ZipDose technology, you can offer patients pills that dissolve fast, carry higher dose load and mask taste. From early-stage development to late-stage commercialization, our 3DP technologies provide formulation and manufacturing solutions that translate more quickly to final product scale, bringing significant business advantages to your bottom line. As the global leader of 3D printing in medicine, we give our partners the ability to develop formulations beyond the limitations of compression method tableting, bringing you and the patients you serve substantial benefits today. Schedule a 3DP Discovery Assessment to learn how we can help you open new market opportunities with innovative dose forms.